« What is a Dude Ranch Vacation? 10M & 10K run/hike, Saturday, September 25th, on the oldest Dude Ranch in the nation – Eaton’s Ranch outside of Sheridan, WY. The 10 mile trail run offers a challenging up and down course along the face of the Big Horn Mountains. The trail is somewhat challenging, but worth it for the vistas! Prizes will be awarded to the three best times in each gender division, and Eaton’s provides a free BBQ for all runners and hikers. 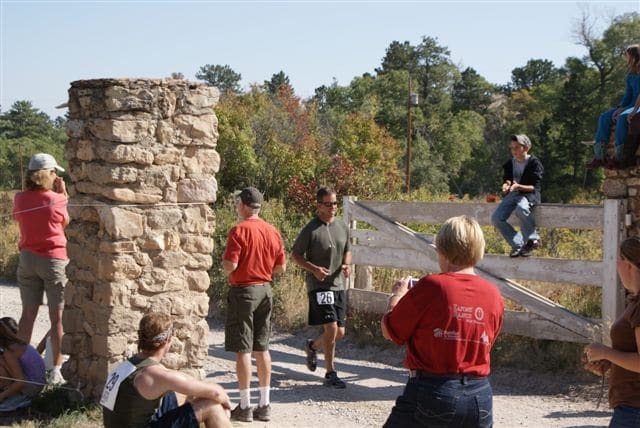 The cost is $35 to hike the loop and $50 to run it, and each paying participant will receive a free, North Face t-shirt. All proceeds benefit Habitat for Humanity! To register, call Big Horn Mountain Sports at (307) 672-6866. If you have not visited the Bighorn Mountains before, make sure you bring your sense of adventure. Horseback Riding, Hunting and Fly Fishing are some great activities to explore after your big run. If the 10k run drained your adventures spirits, and your in search of relaxation. The Eaton Ranch’s 40 X 70-foot pool and hot tub are available for guest use; soak those tired muscles after a run!